Free Tim Hughes Webinar : Reform worship. My friend, Dan Wilt, will be hosting a discussion with Tim Hughes titled "When Servants Lead: Keeping Your Ego in Check" this Wednesday 7/15 at 12:00 Noon Eastern Time. Here is Dan's blurb about this cyber event. This FREE Webinar with TIM HUGHES (UK, Here I Am To Worship) and DAN WILT, M.MIN. (CA, All You Are) will give worship leaders, musicians, pastors and all followers of Jesus practical tools for "keeping their ego in check" as they authentically lead others. I thoroughly enjoyed Dan's last webinar, where he interviewed Duke Seminary professor Jeremy Begbie about the Arts and Creation. Listen to it here. Brilliant stuff invoking a deeper desire for creative worship and true spirituality. I cannot wait to receive Tim Hughes' Spirit-filled insights on Wednesday. 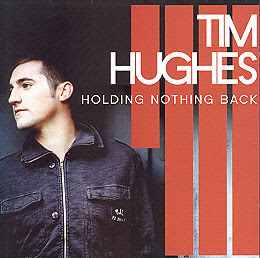 If you read this blog, you'll probably know that Tim Hughes is currently one of the most influential songwriters in my life. We lead (or have led) seven songs from his latest studio album Holding Nothing Back.